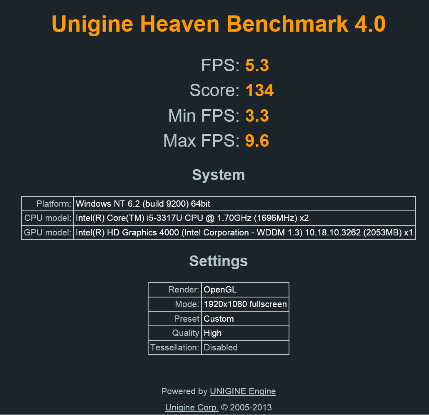 The Unigine Heaven Benchmark is the second set of tests I've run on the Surface Pro 2 and the Surface Pro. Although the new tablet handily outperformed the original, the improvements were in the vicinity of 30% for most scores. One interesting note is that the benchmark drove the Surface Pro fan harder than anything I've done with it before. I was actually surprised to hear the fan noise and at first didn't know where it was coming from. The benchmark also activated the Surface Pro 2 fans, but they were much quieter. In the DirectX 11 battery of tests, the Surface Pro 2 ran 38% faster in frames per second (fps). The overall score was 36.6% better than the Surface Pro. 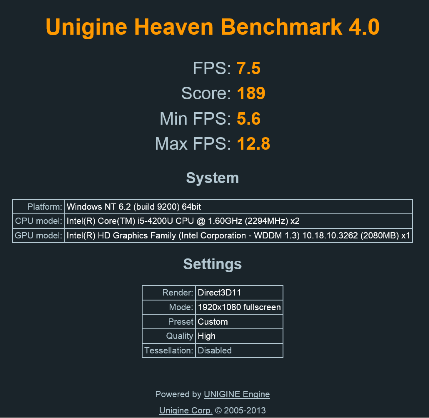 In the OpenGL benchmarks, the Surface Pro 2 performed 25% faster than the Surface Pro. 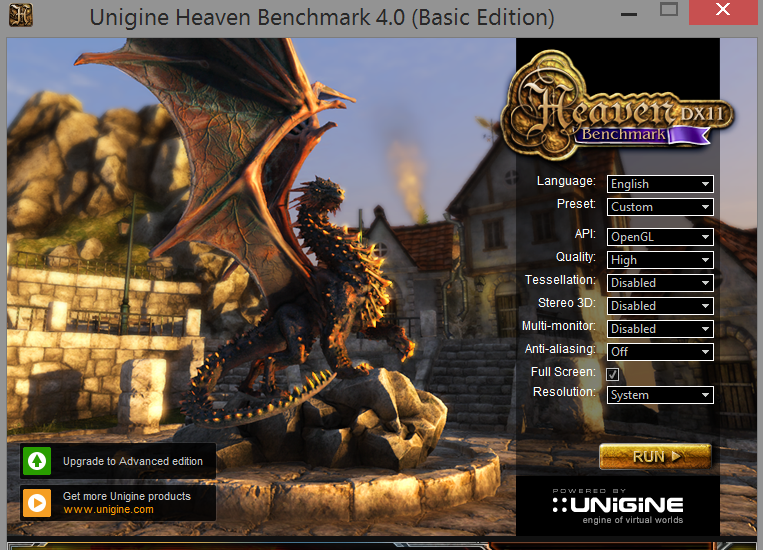 This is significantly less than the OpenGL speed difference reported by Cinebench R15.